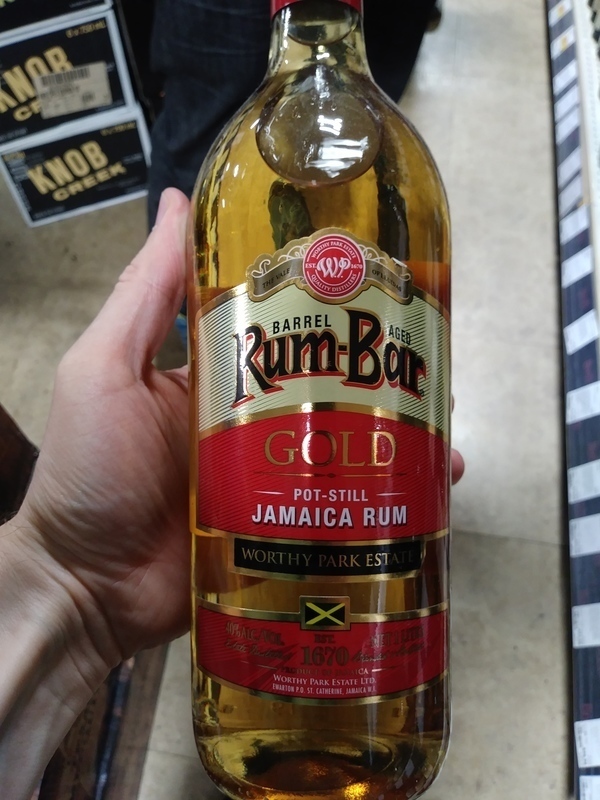 Have you found an online vendor selling Rum-Bar Gold? It's like sitting on a Jamaican beach at night with a big fire, a lot of flavours, it's strong and well rounded. Enjoyed two glasses of Worthy Park Rum-Bar Gold rum with my friend during a 5,000 mile road trip across 18 States. Bottle and label design looks pretty dull and low end. Extremely strong glue and funk straight to your nose and palate. Super strong burn at the end. Even mixing this, you get the funk shining through. Expecting jamaican pungency, I'm surprised to stick my nose in the glass and find a very light, gentle character with notes of sweet baked banana, melting dark chocolate and buttered popcorn. Sipping reveals a very light, almost thin rum with subtle hints of banana and wood, finishing with just a hint of that fermented jamaican fingerprint. I find it kinda watery, but in fact it seems harmonious with the light character. I've tried the Overproof from Worthy Park and now the Gold. Neither are very refined or noteworthy. The Gold has the same undercurrent of flavor as the Overproof. That's not a good thing. Four years of age has smoothed many of the prickly features of the unaged spirit, but it could get still another 20 years of age and still suffer from many of the same flaws. The taste is acceptable as a mixer. As a sipper, it's rough. There's a lot of cask influence here but the sharp bite and vegetal harshness, also found in the Rum Bar Overproof, never leaves. This was found for $10 on Jamaica. I consider it to be a good value at $10. In the US, it goes for $25-$33. At that price you're wasting your money. Let it be known, that I am not a fan of the Jamaican style of rum, but even for a Jamaican rum this is not good and should have gotten a few more years in the barrel before hitting the bottle. Palate: A big hit of green bananas with a fruity aftertaste. Slight burn. Short finish. 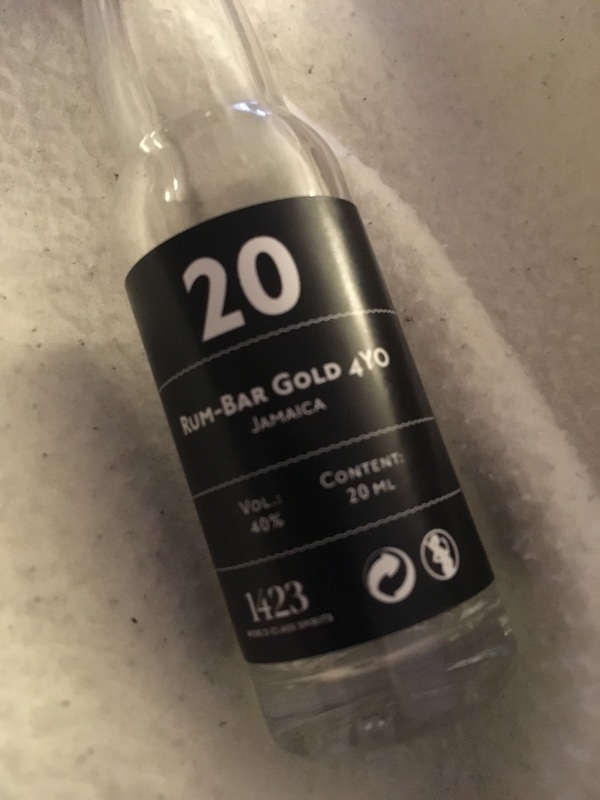 Overall: I might be a little harsh on this one, but I tasted it with people who are into Jamaican rum, and they did not have much positive to say about it. The less said on my end the better. In der Nase, Düfte wie frische Früchte mit Käsekuchen auf einem frisch lackiertem Holzteller. Im Gaumen, reife weisse Trauben, Karamell und Vanille begleitet von einer scharfen Alkohol Note. Im Abgang, süsse Früchte die in Lösungsmittel eingelegt sind. Ein funky Jamaika Rum der durchaus noch ein paar Jahre im Fass bleiben könnte. On the nose, smells like fresh fruits with cheesecake on a freshly painted wooden plate. On the palate, ripe white grapes, caramel and vanilla accompanied by a sharp alcoholic touch. In the finish, sweet fruits that are soaked in solvent. A funky Jamaican rum that could stay in the barrel for a few more years. Liquer style of white rum, strong banana taste with medium lenghts. Palate: pretty dry, almost harsh, some hints of beer (?) and maybe some hints of oak. At least it gives a warm feeling 😉 one extra point for that. Taste is also friuty with bananas dominating accompanied with cask tones. Very smooth and round when sipped, but it should be great mixer too. Lucka 20 i romkalendern 2017, betyget sammanfattar allt. Voldsom duft af frugt. Smagen er dig ikke nær så frugtig. Faktisk er smagen kedelig og kort. Jeg har svært ved at finde noget positivt om denne rom. Muligvis bedre som mixer. Jeg bliver bare ikke gode venner med Rum-bar. Deres overproof er udrikkelig, og gold er kun en smule bedre. Kraftig duft og smag af banan, men ikke på den gode måde. Sprittet, men overdøves af banan. Hvis jeg drak mere end de 2 cl, er jeg bange for, det ville komme op igen. Er måske god i en cola. Den 20. December i romkalenderen 2017. Not the best start when it first hit the nose, also a bit bitter when it first hit the tounge, but the finish and after taste is a lot better. Fruktig och ekig doft. Vanilj och frukt i smak även ek. Lite lakrits. Inte så söt lite pepprig. Ok.
Great choise. Pure tasty rum!! Looking at the bottle/label, I thought that Worthy Park might deliver something quite good. Boy was I wrong! Very light in colour (much lighter than the picture here). Not gold at all, more pale straw. The nose is a cheap, mass produced and frankly hugely unappealing. So much so that I questioned whether I actually wanted to try it. The body was better, but not by a lot. Lacks weight, sophistication, fruit, oak, appeal and anything noteworthy. It's saving grace is that it was quite smooth (as there was no body to it). I don't like mixed drinks, but suspect that this is one for mixing. A very poor rum. That the 3 previous ratings gave it 7s and 8s leads me to question whether I had a bad bottle. This rum is 100% pot still from molasses, aged for 4 years in american whiskey barrels. I got the previous "Worthy Park Gold" bottling, but the rum is the same. Great in punches, fruit cocktails and tiki. It's very interesting to sip neat, because it reminds more a Highland Scotch than a classical aged rum. 4 (real) years are an optimal age because with a longer barrel time we will lose the unique taste and aromas from Jamaica. For the price I was expecting this to be purely a mixer. However the 4 years aging did ther job. Its perfectly fine to sip on its own and be enjoyable. It can't beat sippers in the much higher price range, but its a good experiece. Will be seeking out more Worthy Park Estate rums! if i understood it right, they will relaunch it under worthy park label.